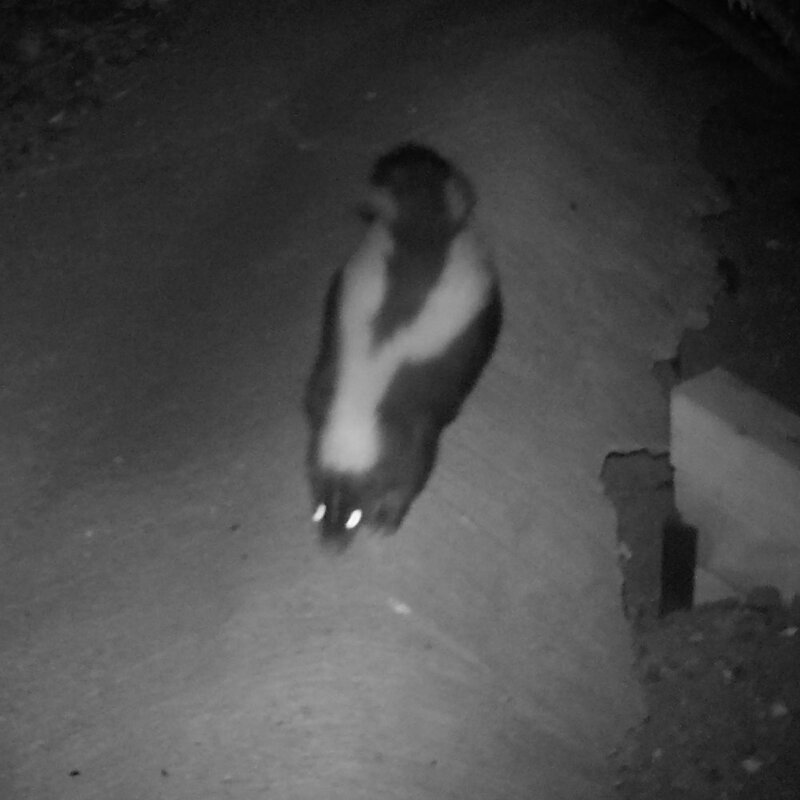 This week, another trail camera got a color shot of said skunk. Lo and behold, it really does have that much white in its coat! 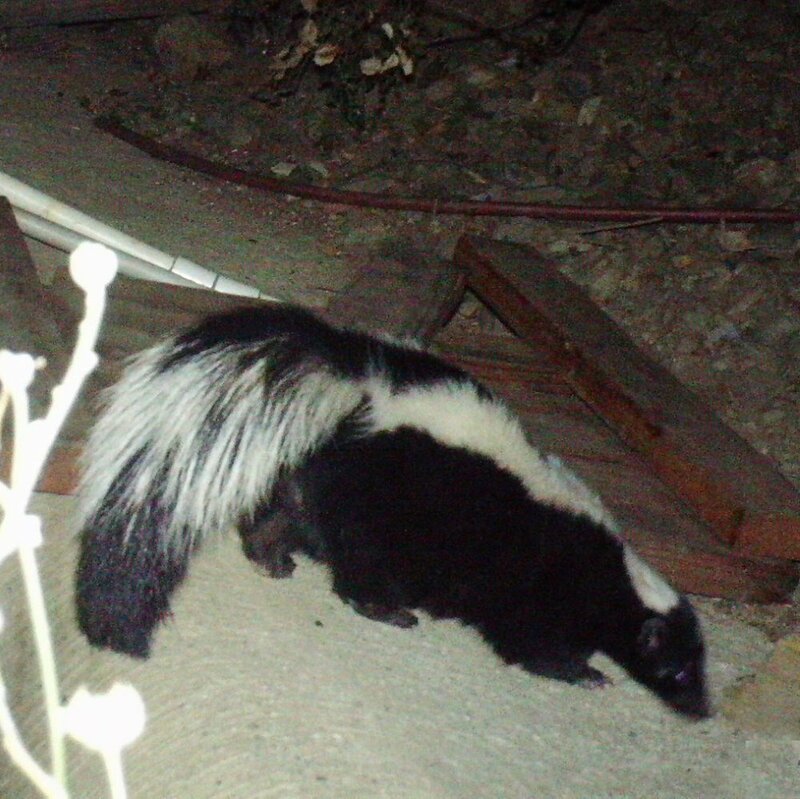 In all the years looking at Striped Skunks, never had we seen coloration like this. 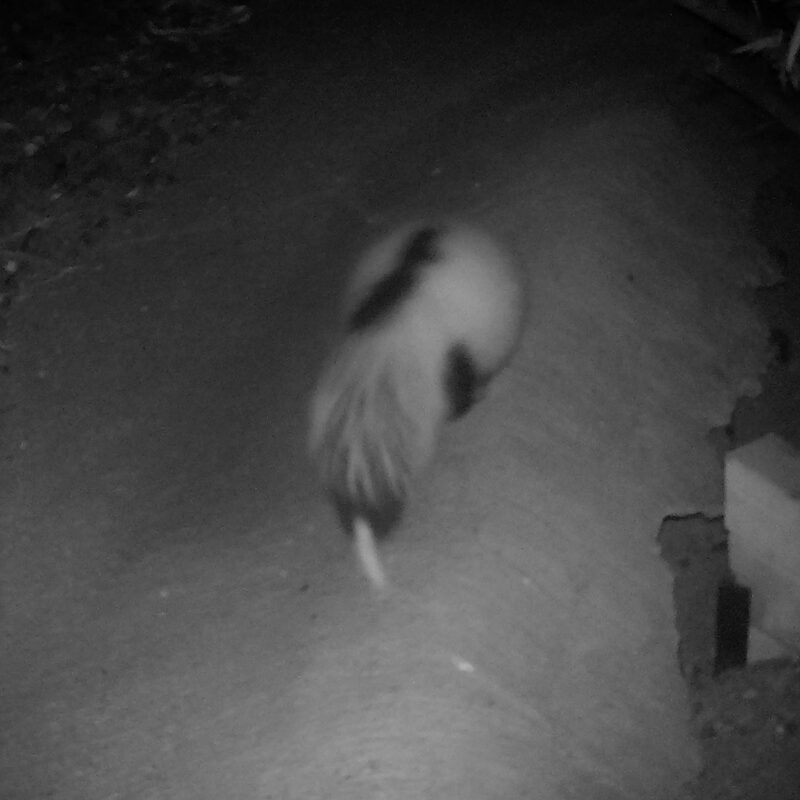 We did some research and found that Striped Skunk back, side and leg markings can range from pure white to solid black, and every variation in-between. 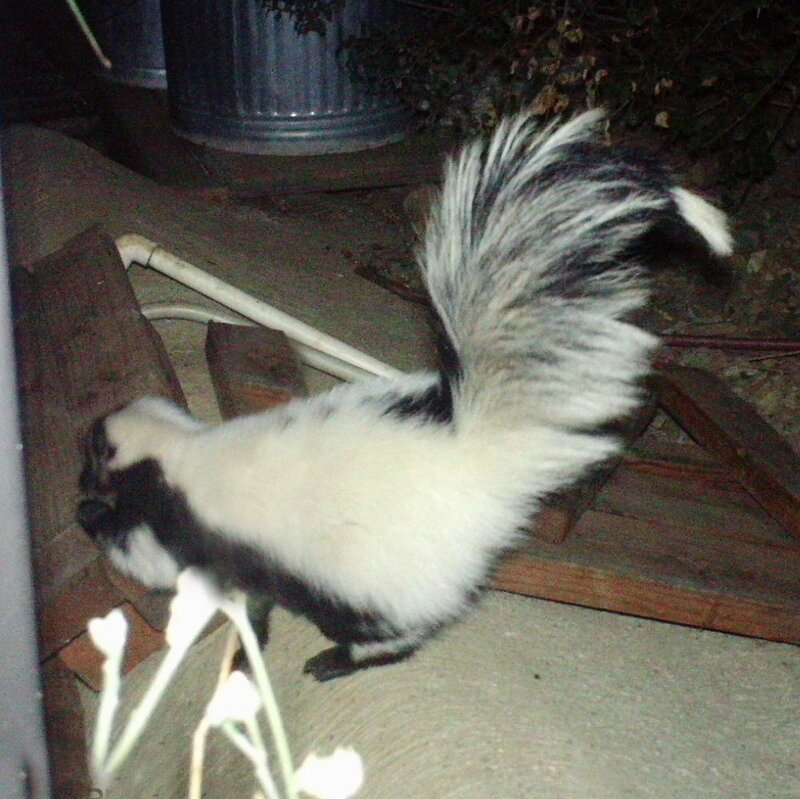 Right when you think you know something about an animal, Nature throws a curveball at you!